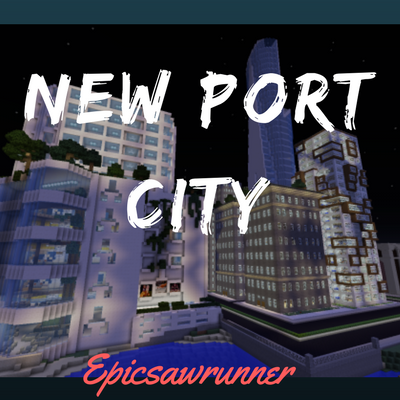 New Port City was originally built with the help of Instant Massive Structures, world edit on Minecraft JAVA EDITION. Now it has been updated to a completely custom built city and now works on MINECRAFT PE! MADE FOR VERSION 1.4.2. It was original built in 1.10.2 but it works with all versions 1.10.2,1.12 and 1.12.2. It does not use mod what so ever though it was built using them. It is free to use by any other map creator in their map or in a video as long as you (i) Give a link to this forums post or (ii) to my YouTube channel. Check out the video to this map below as well as the download.